This creation derives from the interaction between two interlocutors, one of which is ceramic and the second is made of glass. Thanks to its design, various different floral compositions can be made. 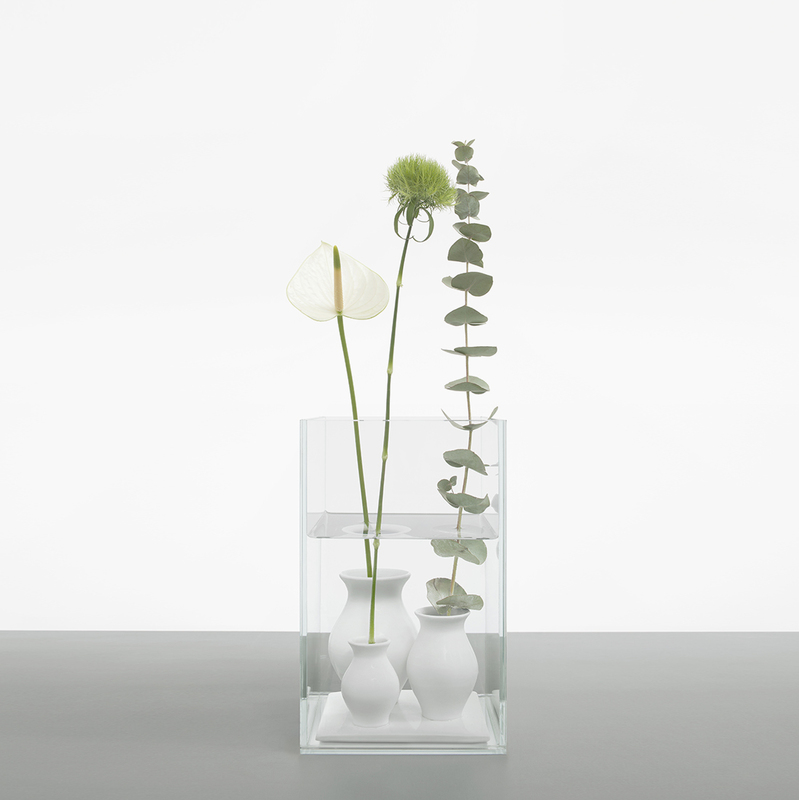 The immersion of vases of different sizes in a glass case filled with water creates a fascinating underwater world where flowers emerge on the surface. Besides being a decorative container for flowers, this creation seeks to enhance the value of the poetic act and ritual of floral composition, and of giving life to cut flowers.